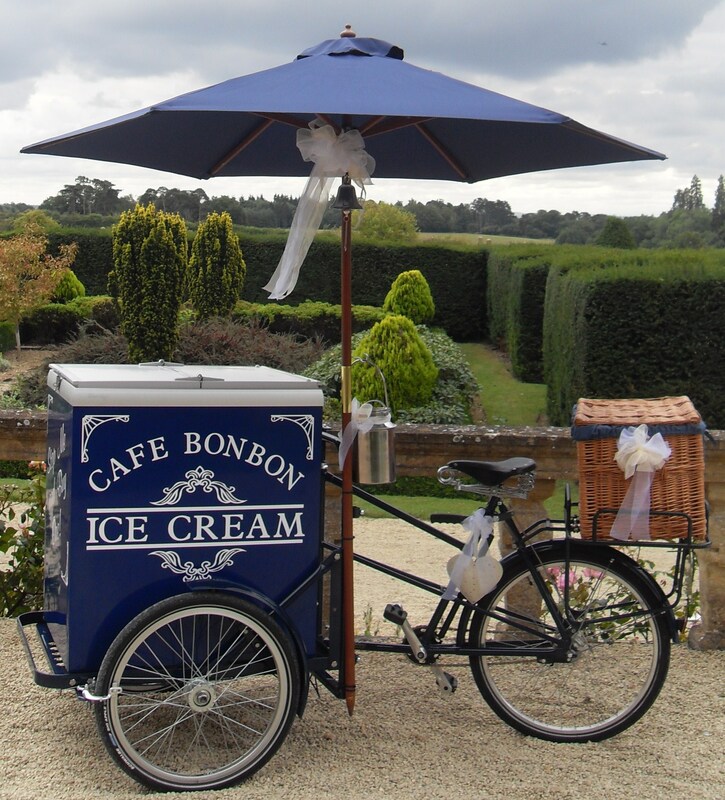 Recreate the nostalgia & romance of the good old days & make your Wedding Day one to remember with one of our glorious Stop Me & Buy One Ice Cream Tricycles. We specialise in providing a truly elegant service ~ offering beautifully styled Tricycles, unlimited servings of West Country Ice Cream, together with a complimentary stylish side table brimming with delicious treats such as chocolate flakes, creamy fudge sticks and toppings and sauces! Perfected to ensure your dream Day!